Golf is tag as a sport for the rich and famous. 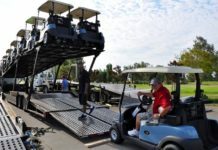 Golf players have their golf-carts, and most of them spend a thousand bucks for its maintenance. Golf cart battery maintenance is easy, and you need to follow specific instructions to lengthen the battery life of your golf cart. How Can I Lengthen My Golf Cart Battery? Golf cart owners often have this question in mind, and they wanted to know how to properly maintain their batteries to avoid expensive cost for battery replacement on their carts. There are ways in which you can prolong your golf cart battery life. I will give you some tips on how to save up for your battery life. I have provided certain tips on how you can prolong golf cart batteries. A lot of golf cart owners are asking about the proper ways of caring for their cart batteries. Read on the tips I have provided here and be guided along the way. Do not allow your batteries to go off below 70% of battery charge. Once it goes down at 72%, you need to charge it at once. Heat destroys the battery itself, the longer you wait for it to recharge, the more heat it takes in. So it will be better to charge the battery right after using it or after it has reached the 70% battery charge level. (This article shows the battery charging tips if you like to read). Just like an ordinary car battery, the golf cart also has plates that may get drained in the long run. Allowing these plates to dry up may cause damage to your battery, and it may shorten its life. Taking care of a golf car battery is very much similar to an ordinary car battery. It should be free from leaks and corrosion. You must learn to check your battery posts and cables for any sign of acid leaks. Clean it right away to avoid building up. Things like this can lead to battery damage and a shorter life. There are two types of a golf cart, the gasoline type, and the electric type. Whichever one you choose, both of which uses a battery to make it work. This type of golf car works like a regular car. There is a small engine that makes it run and a battery to make everything work. The good thing about this gasoline type cart is that you don’t need to charge it. You have to fill it in with gas, and you are good to go. These electric type golf carts run on a 36 or 48 volts electrical system. The batteries can be 4, 5, or 6. You have to charge this one to an electric outlet after every use. It is advisable that you recharge your electric golf carts after using it. It can help a lot in prolonging your battery life. So, which one is better and which one has the efficiency in terms of usage? It depends on who’s going to use the cart. If you want more trips and has been using the vehicle more often, I recommend the use of a gasoline type golf cart. 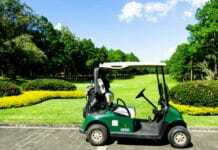 If you seldom use it, then you can save up a lot with an electric golf cart. Whichever you choose, keep in mind that both of these types have batteries that make the cart work. Before anything else, you have to keep in mind that you should take care of the battery more than anything else. 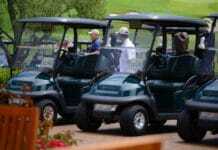 As golf cart owners you need to know how to choose the best golf cart batteries for you. Knowing what your cart’s specification is, it is wise to pick the best for our personal use. Your golf cart carries all your things and necessities for playing golf. Therefore, you should give it all the best care it deserves. As golf cart owners, you should know the right way to choose the best golf cart battery for you. It will save you a lot of time and money knowing the right one to choose. Consider these things when scouting for the best battery for your cart. You should know your cart’s voltage. It is needed to choose the right battery to fit your golf cart. 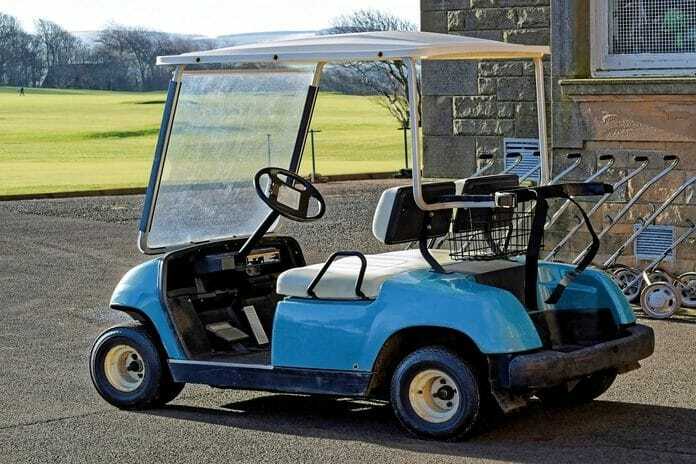 In case, you do not see the cart’s energy, ask an expert who can look it up or someone who knows how to determine the battery voltage of your golf cart. The type of battery also determines the proper performance of your golf cart. There are three types of cell; the Flooded lead acid, AGM lead batteries, and Gel lead acid batteries. Flooded lead-acid are known as a wet cell. This battery is the one that you fill with water. It is one of the most recommended types for golf cart not unless you want something fancy for your vehicle. Your batteries need a parallel connection to increase its size. No worries because it doesn’t increase the voltage. So, take for example 2 Trojan T-605 6-volt deep-cycle flooded batteries which are rated at 210 AH are made in parallel connection, its capacity increases to 420 AH. You need to choose the right cables for your battery. It is equally important to use the correct cable battery to ensure efficiency of usage. The right cable size also matters; it avoids getting overheated. These battery types work 99% on all kinds of golf carts. Just in case your old batteries did not work well, you have these options to choose. Of course, the price matters, it is one significant consideration in choosing the right battery. We all know that cells are quite expensive, but you can always scout for the best price in town. I’m sure there are plenty of batteries out there that offers the best price and the best quality too. Just don’t settle for second-hand batteries as there is a big possibility that it will not last long. (Check golf cart battery prices from here). Do not buy batteries that are longer than six months. Always get the newest battery in the market. The law ordered the battery manufacturer to put a visibility date code on their cells. It will tell the buyers the age of the batteries. If you aren’t sure of the brand and specification of the battery you are buying, do not buy from small dealers. Reputable dealers know their business well, and they can assist you in problems like this. Warranty is the assurance that the battery you bought will work for a long time. Manufacturers offer a guarantee for their product. Check how long this warranty will last. In case your battery gets dead after only a week, using the warranty, the dealer can replace your battery without any cost. Now that you know how to choose the top battery for your golf carts, wouldn’t it be best to identify the top brand names in golf cart batteries? Here are some of the best brands of golf cart batteries below. These battery brands are the result of market surveys. Chosen by the golf cart owners who have used and testify that these brands are one of the best in the market today. Take a look at these brands and see if it will suit your taste and standards in choosing the best battery for your golf carts. This battery can boast of a 225AH at a 20-hour rate. It is a flooded lead acid type battery. It is considered as one of the premium brands in the market today. Trojan has its fiberglass separator design and unique paste formula. Trojan has a durable design that can lasts several cycles. AGM batteries are known for their craft. They provide excellent and lasting car batteries. With a 210AH at 20-hour rate, this battery is made to last longer. The manufacturers have sealed the unit, and it is ready for use anytime. No worries about a rough ride because you know that the group is thoroughly sealed and protected. This lifeline battery is generally built for military standards. It ought to live for a lifetime because of its durability. This battery is capable of going into a 1000 cycle with a depth of 50%. Lifeline batteries is another product of AGM, so you never have to worry about leaks because it is adequately protected. Vmaxtanks battery provides you with a very limited or little maintenance but is designed to give you maximum power. It absorbs and contains the electrolyte. Vmaxtanks battery is another product of AGM. Golf cart battery maintenance is just an easy task if you know how to do it the right way. The only key for the proper golf cart battery care is understanding the basic of battery care, and you can never go wrong. Use your batteries correctly, and you will inevitably lengthen its life.